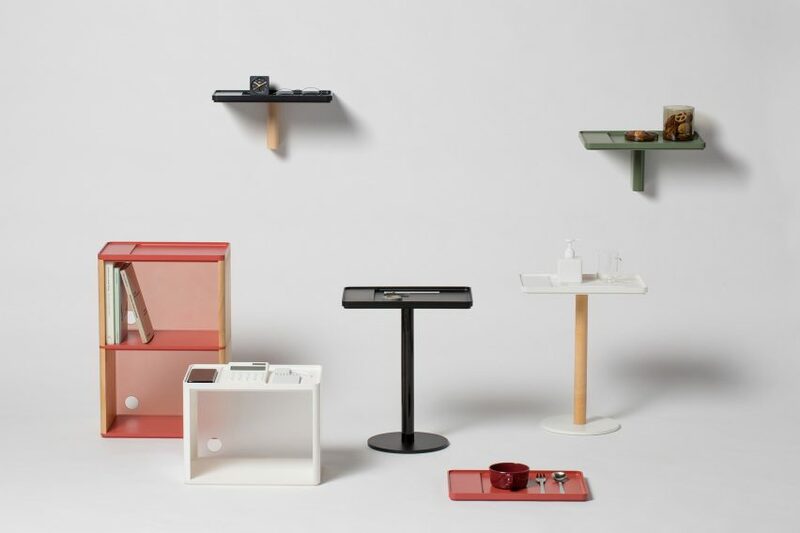 South Korean design studio Pesi has created a range of furniture and homeware products, which each incorporate wireless charging technology to rid smartphone users of wires and cables. 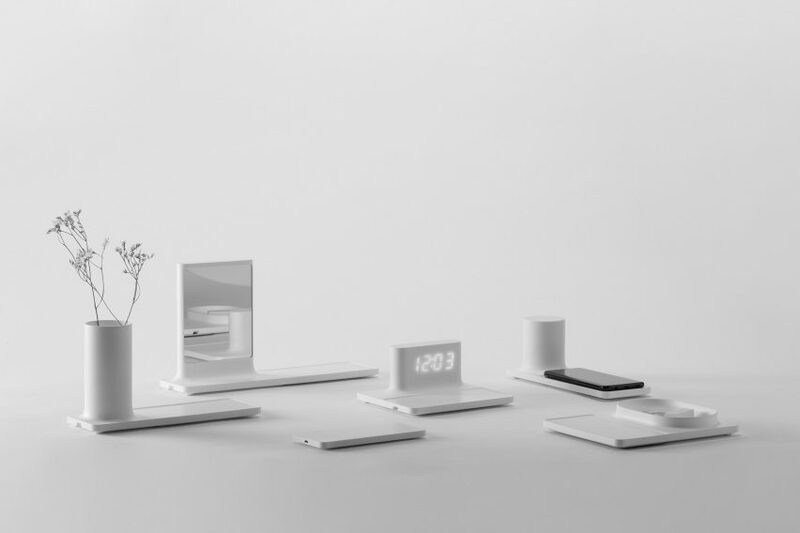 The Seoul-based studio created the range as part of Samsung’s Creative Square competition, which tasked young design companies with creating new “mobile environments”. Through its project, Pesi wanted to create a space where smartphone users wouldn’t feel as though they’re surrounded by electronics. They proposed doing this through the use of furniture that incorporates wireless charging technology, which sees electromagnetic induction used to power products that use coil-type batteries. Pesi co-founder Seungjoon Song described the furniture as “charging environments”, which would feel natural and less incongruous in living spaces. “As the use of mobile products is increasing today, we analysed not only the form and function of the mobile product itself, but also the environment where they are used,” said Song. The products are split into two ranges – Composition and On The Surface. 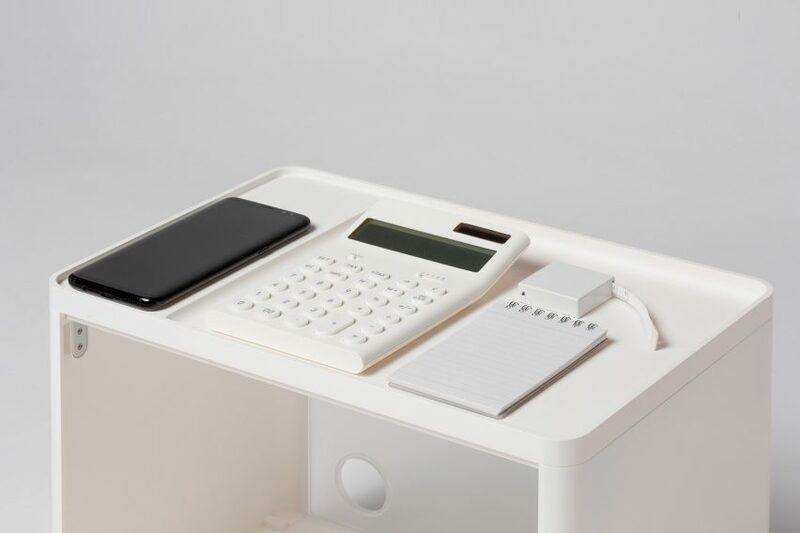 On The Surface combines a flat wireless-charging surface with desktop items, including a container, clock, mirror, speaker and tray made out of acrylic plastic. 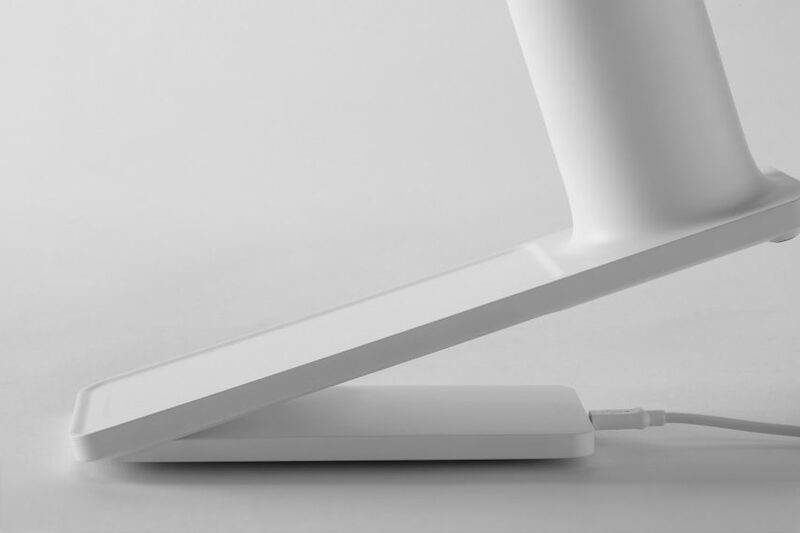 The Composition range is based around a tray that incorporates the wireless-charging surface. It can be customised with various wood and acrylic elements to create a side table, shelf and tray cabinet. “We thought of wireless charging as a ‘calm technology’, because it doesn’t need any other interaction except putting the device on the charger in the same way you might keep your device on a table or tray,” said Song. Pesi isn’t the first design studio to create products integrated with wireless charging. 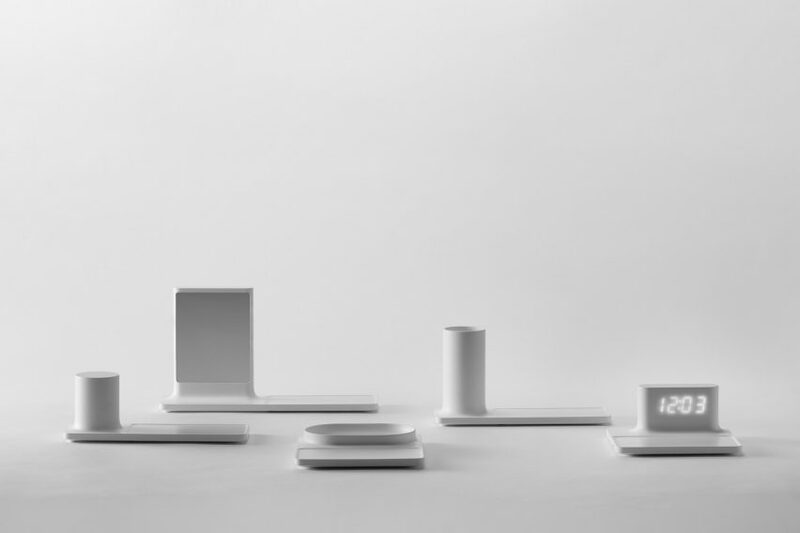 London studio Layer designed a set of slip-cast ceramic trays with an integrated charging system, while Blond created a portable cylindrical speaker that comes with a wireless charging tray. Ikea is aiming to make the technology affordable to the masses, with its range of furniture and homeware that features integrated induction charging.